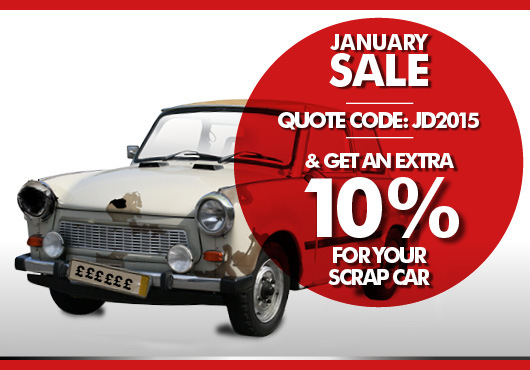 The J.Davidson, Scrap Car, January Sale starts on 1st January. To get an extra 10% for your scrap car, simply quote the code ‘JD 2015’ when you request your scrap metal car quotation, and we will give you an additional 10% on top of our best price for your scrap car. Complete the scrap car enquiry form now or contact us on 0161 928 9981.